Drahobrat - holidays in Carpathians, hotel "Krokus"
Family rest in Drahobrat. Rooms are with all facilities. It is close to lifts. Equipment rental, instructor's service. Hotel «Krokus» is located in the ski resort Drahobrat. 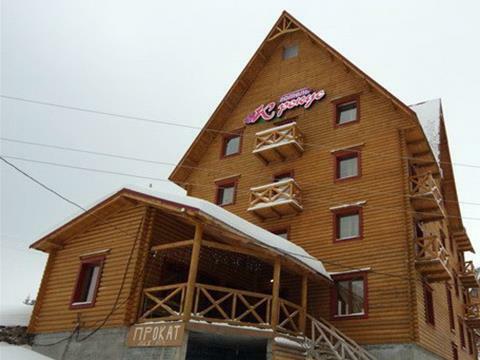 Hotel «Krokus» is a wooden five-storey building. «Krokus» hotel offers 1-2-3-bed rooms of «suite» and «standard» classes. It is served two meals a day: breakfast and dinner, it is included.